​Crystal Palace are reportedly targeting on-loan Chelsea striker Tammy Abraham, ahead of a possible move for the 21-year-old in the January transfer window. Abraham, who is currently on loan at Championship side Aston Villa, has been in fine form for the Midlands club this season, scoring 12 goals in 16 league appearances for Dean Smith's side as they sit just three points outside the playoff spots. While the England international's move to Villa Park in the summer was meant to last the season, ​The Telegraph are reporting that the Blues have an option to recall Abraham in the New Year, giving ​Crystal Palace the opportunity to sign him on a temporary basis. The Eagles are in desperate need of a goalscorer, with the club's current league tally of 14 goals is the joint-second lowest in the ​Premier League alongside Newcastle, with their next game coming against the league's top scorers in Manchester City, who have found the net on 48 occasions in the league alone. 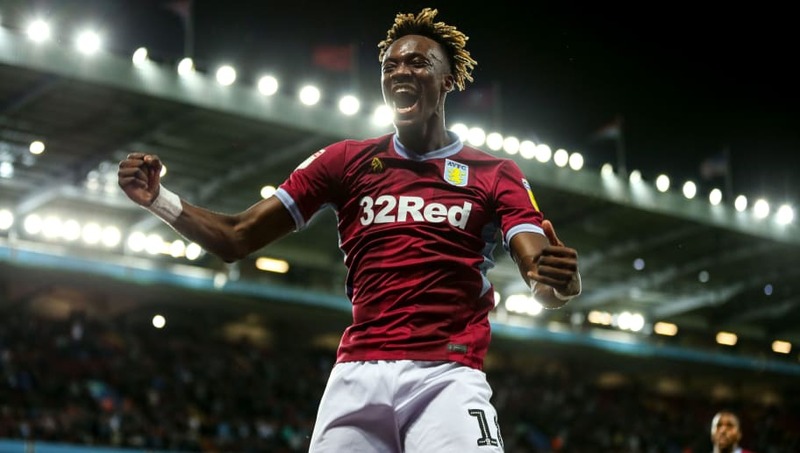 Any recall however is subject to Villa's standing in the promotion race, although with Chelsea set to pocket a promotion bonus should the Villans return to the top flight, it's likely that Abraham will remain an ​Aston Villa player. Abraham isn't the only Championship striker that Palace have been linked with recently, with ​Middlesbrough's Britt Assombalonga another reported target for Roy Hodgson's side, although the 26-year-old has only scored half as many goals as the Villa forward this season with six.